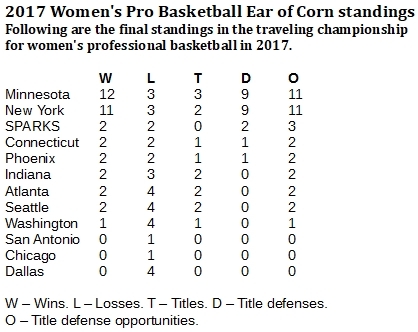 Just when a 10-game championship streak for the New York Liberty came to an end, The Minnesota Lynx won the games they needed to procure Team of the Year in the women's basketball traveling championship in 2017. The traveling championship in women's professional basketball came down to the WNBA Finals, and Game 5, at that. 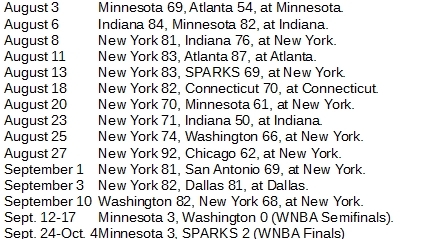 The Minnesota Lynx won it, 85-76, to clinch the league championship, following an 80-69 win in Game 4. 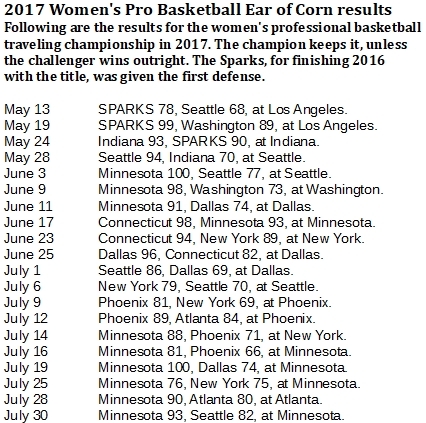 The Lynx entered the series with 11 wins in the traveling championship, tied with the New York Liberty. Because each playoff series counts as if it were one game, the Lynx needed the whole series to secure that 12th win that would bring the Team of the Year designation with it. The Liberty was on a crash course to clinch the top honor as it entered the playoffs on a 10-game championship winning streak. However, an 82-68 loss to the Washington Mystics in the first round ended it for the Liberty. The Lynx then swept the Mystics in a three-game semifinal series for their third championship of the year, and their 11th game of title holding.